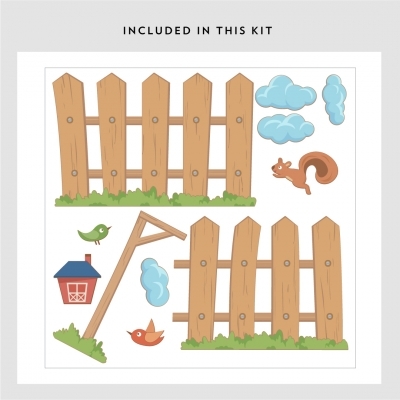 This adorable scene of a wood picket fence wall decal is surrounded by birds, clouds, mailbox, and a playful squirrel is the perfect addition to any baby nursery, kids room or daycare center's walls. 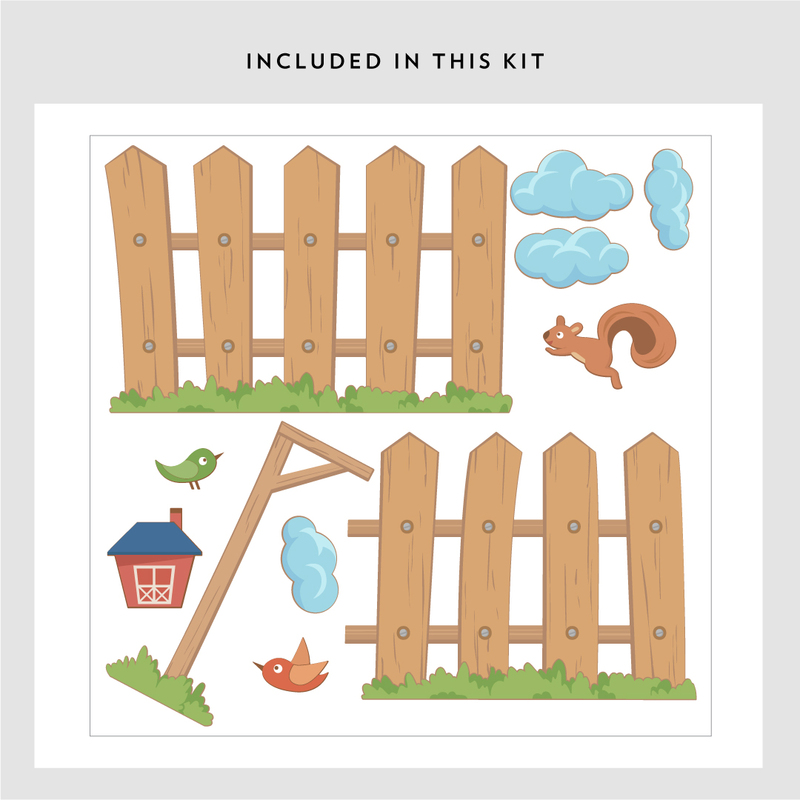 Please note: Colors may vary slightly from the image above. 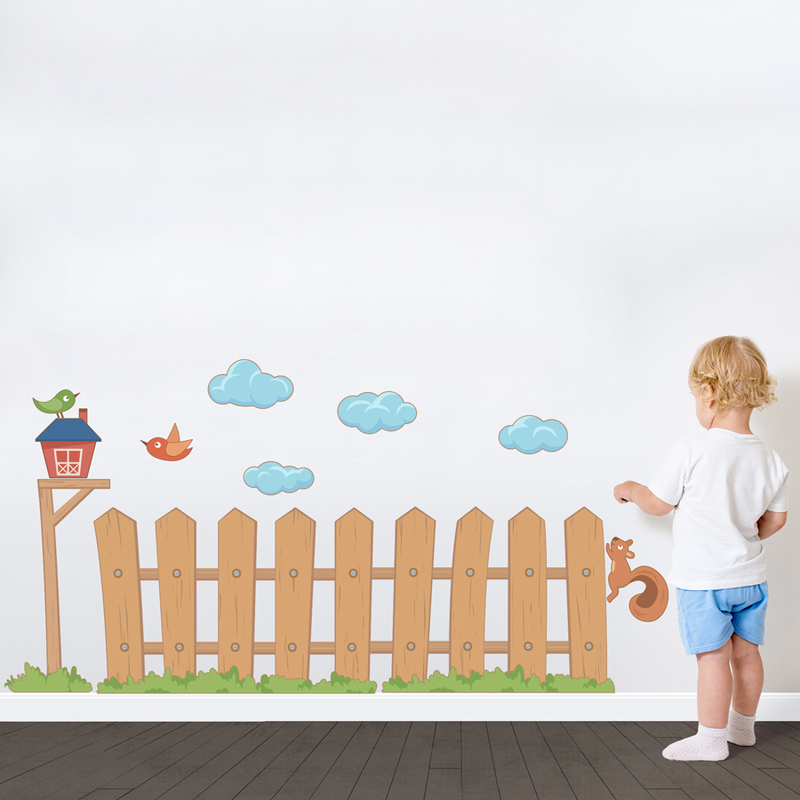 These playroom wall stickers are available in 3 kit sizes listed below.